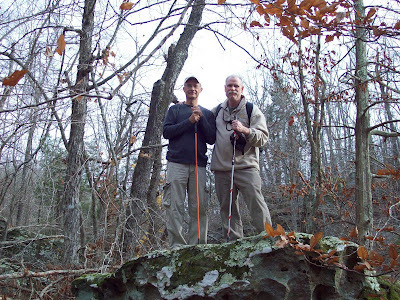 This past weekend, Sir Scott of Paradiddle, Sir Paul of Lyon, and I “walked a trail of life” (more like walked it like old, out of shape men, but we walked) -- back in time to a place of indescribably beauty and haunting history. Off a lonely stretch of highway in western Kentucky is an area near and dear to Sir Paul: Mantle Rock. Paul has spent a lot of time there helping blaze trails; he wanted to take us there to experience it for ourselves. So, on a glorious and unseasonably warm November Saturday (without fear of the wind and rain), we started our journey back to 1838. During the winter of 1838-1839, the Cherokee Indians were forced to leave their Smoky Mountain homes for the Oklahoma territory. 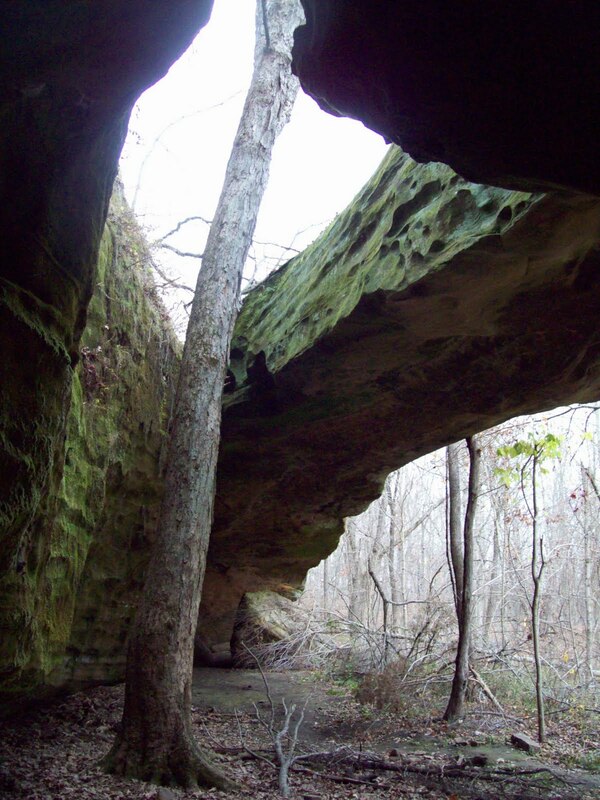 Mantle Rock, a 40-foot natural sandstone arch (one of the longest in Kentucky) was used for shelter on their “Trail of Tears.” The Ohio River had become icy and impassable, so the Indians sought cover beneath the arch and the surrounding rock formations. Over 3000 wintered there; many died due to exposure, disease and dysentery. 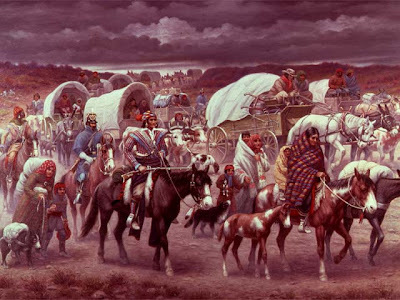 The forced removal of the Cherokee in 1838-39 from their homelands in the east to Indian Territory (now Oklahoma) is also knows as "The Trail Where They Cried". Of the 16,000 Cherokees who were herded into stockades and marched west by U.S. troops, about 4,000 died of disease, exposure, or fatigue. A U.S. soldier, John Burnett, recalled in later years, "I saw the helpless Cherokees arrested and dragged from their homes, and driven by bayonet into stockades. And in the chill of a drizzling rain on an October morning I saw them loaded like cattle or sheep into six hundred and forty-five wagons and started toward the west"
Here, a maple tree endeavors to persevere as it reaches for the sun and the stars. 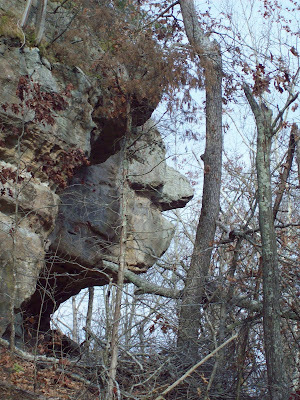 To me, this represents the last Cherokee --- whooping and crying – begging all who visit to never forget the story of perseverance, survival, and to continue to honor the spirits of all those whose trail of tears ended on this sacred ground. 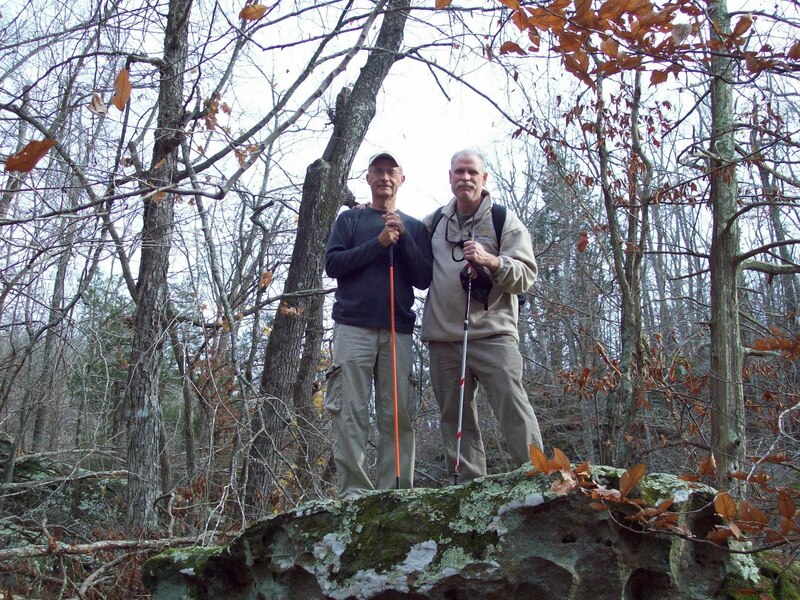 In fact, thousands of Cherokees come here each year in prayer for the ancestors, a pilgrimage remembering the Trail of Tears. Like the cultural center’s mission states, let us always remember the past and see the pathway to tomorrow as a sacred journey for compassion, peace and harmony. “The traditional Cherokee philosophy is that even the smallest drop of Cherokee Blood makes one a Cherokee. There is no such thing as 'part-Cherokee.' Either you're Cherokee or you're not. It isn't the quantity of Cherokee blood in your veins that is important, but the quality of it . . . your pride in it. I have seen full-bloods who have virtually no idea of the great legacy entrusted to their care. Yet, I have seen people with as little as 1/500th blood who inspire the spirits of their ancestors because they make being Cherokee a proud part of their everyday life." who spent the weekend with mom and daughters experiencing the blessing of "girltime"
I am the Great-Great Grandson of Chief Single Tree, who's grave stone stands in Cherokee, North Carolina. The name Single Tree was changed to a more accepted Singletery to better fit into the white mans world. My Great Grandmother was full blooded Cherokee, and that side of my family was scattered with the winds on the Trail of Tears and now reside in Illinois, North Carolina, Oklahoma and New Mexico. I have visited them on several occasions. Our last reunion was held in New Mexico two years ago. If you ever get the chance to be in the Smoky Mountains and make it to Cherokee, North Carolina, catch the outdoor play "Trail of Tears". 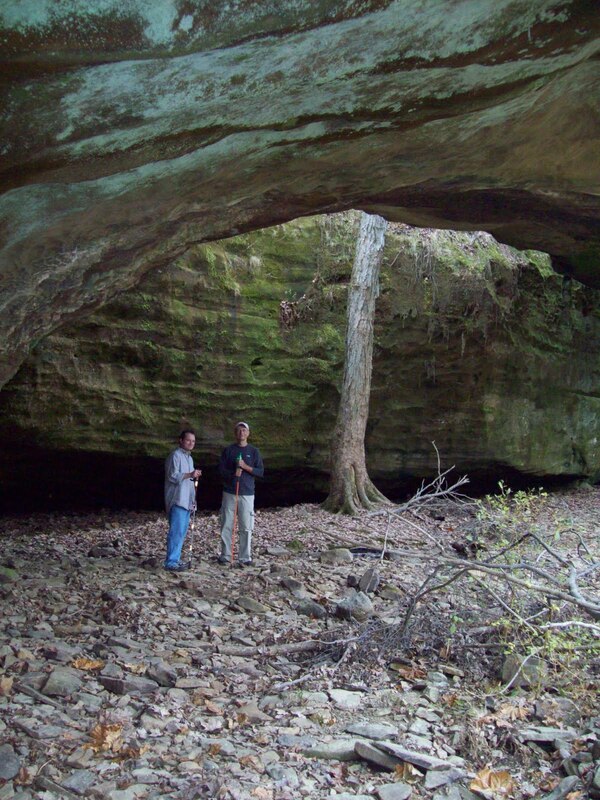 It tells the Cherokee story from before the white man to the end of the forced march. I must confess I never heard of this particular area of Kentucky and must visit it to offer my own prayers to my ancestors. 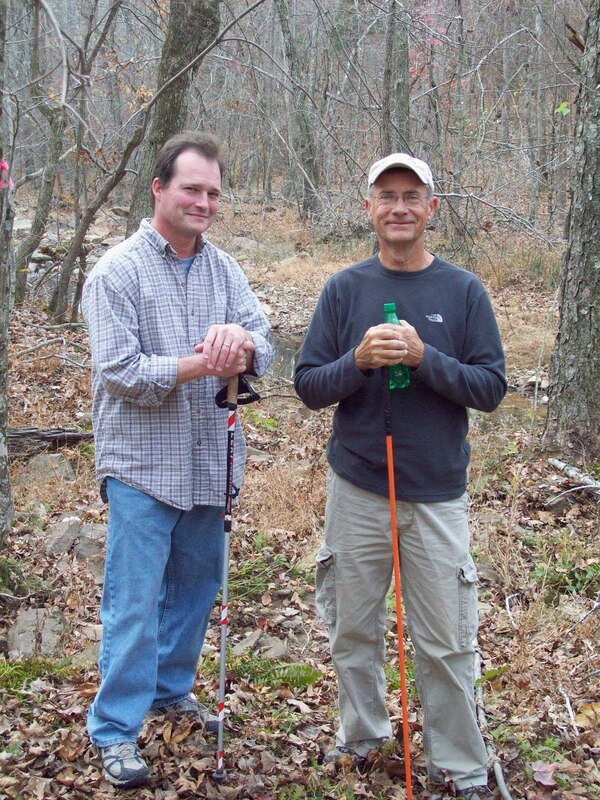 Very nice summary of a very rewarding outing. Thanks for providing your readers with a very clear glimpse of a remarkable place. Looks like a fantastic place for a trek. From a different nation under a similar "relocation" process. "From where the sun now stands, I shall fight no more forever."